These Classroom Packs have 20 Selenite specimens each are about 1 inch x 1 inch. They are nearly completely transparent. This would make a nice addition to anyone's mineral collection. The classroom packs make inexpensive classroom gifts and party favors. 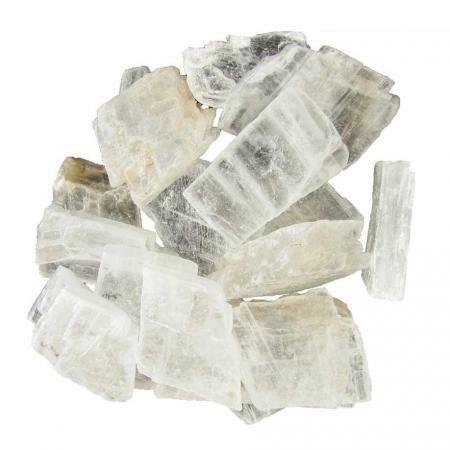 Selenite is a very common sedimentary mineral. It is a sulfate mineral with the chemical formula Hydrated Calcium Sulfate. It is a form of gypsum and is created by the evaporation of salt water. Selenite is clear and colorless. It can be translucent or transparent. It is used in making plaster and drywall. It is easy to split selenite into thin sheets.